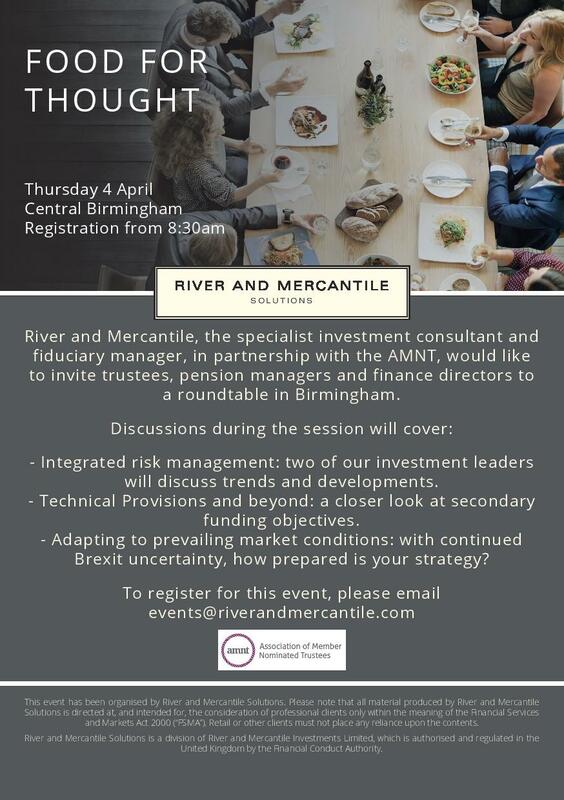 River and Mercantile would like to invite you to our regional breakfast roundtable events - food for thought. Our roundtable will be held on Tuesday 26 March in Central Birmingham with registration from 08:30am. We will cover trends and developments in Integrated Risk Management with two of our investment leaders.